You are physically attracted Cancer natives. Along with them, you will discover your creative talents. This relationship is likely to materialize in children; there will be changes caused by travel. Moon and Neptune symbolize romance and intrigue. There is no middle way in this relationship it's either all or nothing. The relationship is either successful from the beginning, or it ends immediately. Cancer will help others win their recognition, and will broaden their horizons. Moon - Neptune combination has effects on the long term; people outside the relationship are also involved. You will learn that it is not easy to control your feelings towards Cancer, and that you cannot end the relationship at any time because of these strong feelings. Alongside Cancer, you can complete important projects. 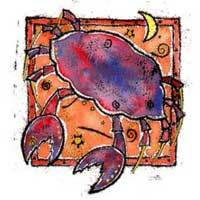 You find stability in Cancer, which will help you stay on a good path. Both are signs of water, and can be very happy together. But be careful, because a Cancer does not play: the result of this relationship is very serious, and often involves marriage and children. 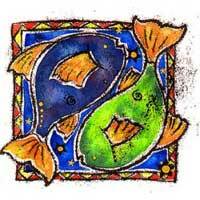 Cancer learns from trips he takes with you, and can be positively influenced by you. On the other hand, you are of great importance to him, because you help him enjoy life. This relationship has great potential.